The Grand Canyon water samples were not processed in the subject lab. You could have simply called USGS staff and asked that simple question before waxing eagerly about undoing uranium mining protections. 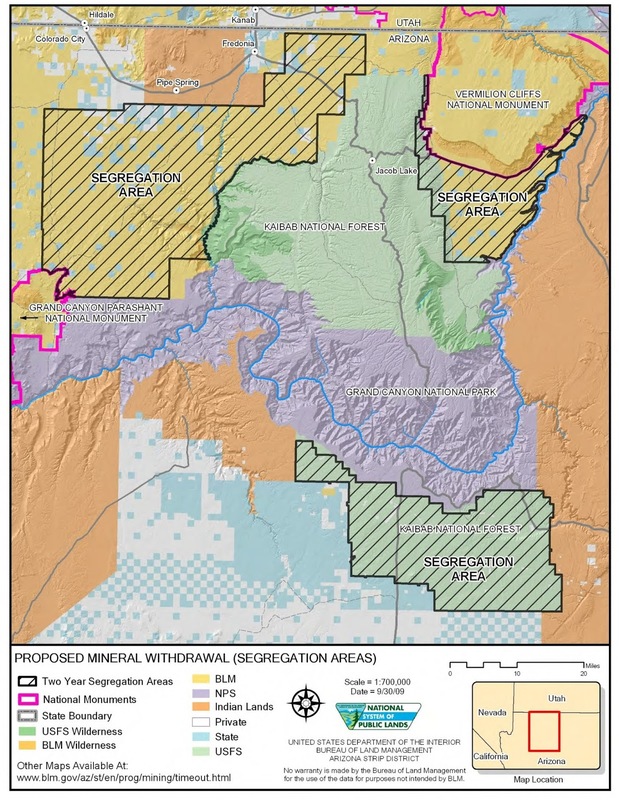 That Arizona Geology can always be counted on to do the uranium industry's bidding is enough to make one appreciate the Arizona legislature just a little bit. "In the long run, we determined the scientific misconduct and data manipulation also impacted USGS organizational integrity in ways that are still unfolding and difficult to quantify." Hmm, seems like OIG's opinion is that this is not a simple matter nor one that has been closed. ... assessment of uranium in the environment in and around Grand Canyon National Park in Arizona for possible groundwater restoration;"
Seems like OIG's conclusions might differ with yours. But then, why ruin the fun of displaying your righteous indignation with the accusation of doing "the uranium industry's bidding" by having to put in a little intellectual effort beforehand? I stand by my post. I have spoken with and emailed with a number of USGS officials on this matter. There is no documentation yet to support your claim the water samples were not processed in the Inorganic Geochem Lab. 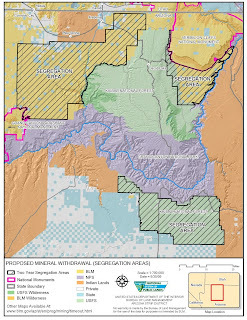 The Inspector General's report identified "Twenty-four research and assessment projects that have national and global interest were potentially affected by erroneous information," including "assessment of uranium in the environment in and around Grand Canyon National Park in Arizona for possible groundwater restoration." There are six individual lab studies listed under "Uranium in the Environment." The first on the list is "8930-C5G1A/Otton." 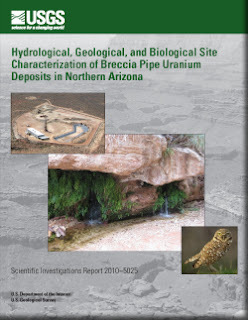 James K.Otton is a USGS geologist who is lead author on two of the four technical sections in “Hydrological, Geological, and Biological Site Characterization of Breccia Pipe Uranium Deposits in Northern Arizona”, USGS Scientific Investigations Report 2010-5025. While the USGS officials I spoke with say the falsified data were not published in the SIR, they have yet to identify what labs did produce those data nor have they have not linked the lab codes in the IG report to USGS projects or reports and publications. The SIR describes quality control processes in detail but fail to identify the source of any of the reported data. Their assertions appear to be based on talking to the scientists on the projects and asking them if they think they know where the data came from. Given the concerns and criticisms in the IG report, the USGS has more work to do to document the source of data for its uranium-water projects in which the Inorganic Lab was involved. I will be blogging more about this issue. We continue to gather and analyze information.